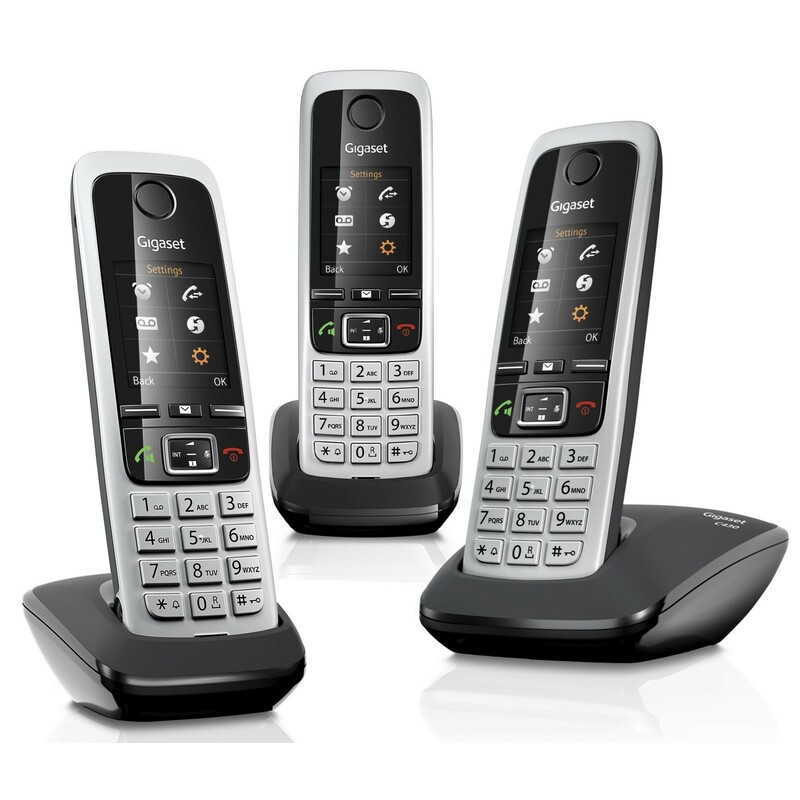 Made for the busy lifestyle, the Gigaset C430 cordless DECT phone features a user-friendly interface with a high-contrast, backlit colour screen and extensive personalisation options to help you make your phone your own. It provides a long talk time and standby time of up to 14 and 300 hours respectively. 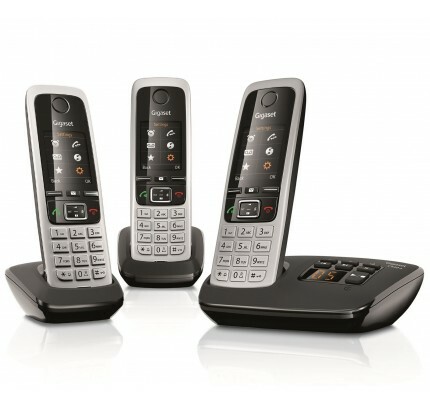 Designed to offer a unique and personalised user experience, the Gigaset C430 allows you to select your own background image and screensaver, and you can even create caller groups and select different ringtones for each one so that you always know who's calling you. However, if you don't want the phone to ring during the night or at other inconvenient times, you can activate the silent mode. The Gigaset C430 guarantees crystal-clear audio quality thanks to High Sound Performance technology. This technology also extends to the built-in speakerphone and optional headset to help ensure that even hands-free phone calls are conducted clearly and concisely. This set of three Gigaset C430 cordless handsets provides a convenient and reliable option for larger homes and offices, and you can add up to five additional handsets to the system. Thus far I am pleased as the ring tone, sound quality etc. are excellent plus I really, really like the analogue clock and the dimness of the night time illumination.